The Tata Group has seen six chairmen since it was founded in 1868. As Cyrus Mistry was ousted after less than four years in charge and Ratan Tata took over as interim chairman, they will soon be looking for a seventh. As Mistry and Tata group trade barbs on a daily basis, Knappily looks into the gargantuan task of identifying the right kind of successor for the $100 billion group. 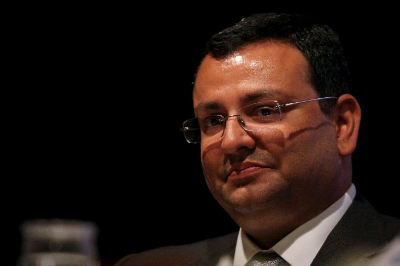 What unraveled in the Tata Sons boardroom? On Oct 24, 2016, Tata Sons announced that Cyrus Mistry had been removed as chairman of the company. The holding company of India’s biggest conglomerate announced that Ratan Tata would replace him atop until they find a suitable replacement. Tata group companies comprise of Tata Motors Ltd, Tata Power Co. Ltd, Indian Hotels Co. Ltd, Tata Steel Ltd, Tata Chemicals Ltd and Titan Co. Ltd.In many of these companies, Tata Sons doesn’t hold a majority of the stock. Exceptions include Tata Consultancy Services Ltd (TCS), where it holds 73%, and Tata Investment Corp. Ltd, where it owns 68.14%. Unseating Mistry remains a challenge as he is the non-executive chairman of many of Tata Sons’ biggest operating entities. Mistry has already made it clear that he isn’t going down without a fight. He responded with a five-page email to the Tata board, stating that he was “shocked beyond words” and that the decision was “unique in the annals of corporate history,” according to Bloomberg News. Mistry was scathing about the group’s culture and ethics. Lawyers have been mobilized to contest the decision. The family patriarch of the sprawling $100 billion Tata empire and the scion of the billionaire Shapoorji Pallonji clan are now washing their dirty linen in public. The holding firm also announced a slew of organizational changes and moved fast to repair their soured relationship with NTT DoCoMo Inc., its partner in an Indian wireless venture. Why was the move shocking? 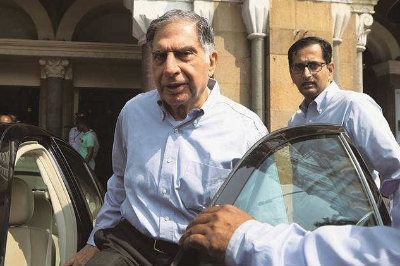 The ouster has been some time in the making, several reports suggested as differences have surfaced between Ratan Tata and Mistry over how the latter had been dealing with the significant challenges facing the group. The abruptness of the sacking in a company that is known for a culture of consensus took people by shock – the board didn’t offer Mistry a chance to step down. Overall Tata’s financial figures with profits around $4.5bn on sales of $108bn in 2016, and debt roughly the size of its equity don’t seem alarming. On Jan 1 2013, a year after Mistry was penciled in, the market capitalization of listed companies of the Tata group was Rs 4.97 trillion. When the decision to sack him was announced the market cap stood at Rs 8.71 trillion. When Mistry took over he would have expected to serve over a decade atop of India’s biggest group with interests in everything from salt to steel to software. 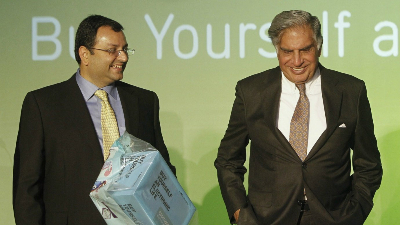 In fact, in 2014, Mistry rolled out Vision 2025 for the group, an ambitious plan to carry Tata into the top 25 biggest companies by market value that supplies products to a quarter of the people on the planet. Among the six chairmen Tata Sons has had over the last 15 decades, Mistry has had the shortest tenure at just short of four years. During these years Rata Tata retained his spot as the chair of the Tata Trust. When did Ratan Tata rise to fame? When Ratan Tata became the chairman of the Tata group in 1991, India was not yet liberalized. And Tata had not dreamt beyond India. Tata had the job of streamlining a sprawling industrial empire that had little strategic synergy. This meant that he had to clash with powerful corporate lords who had tremendous influence in the loose federation that JRD Tata oversaw. 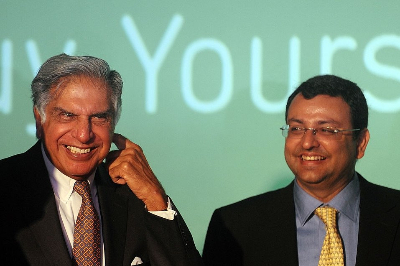 As Indian economy was liberalised, it was both an opportunity and threat for Tata. An opportunity because the economy was earlier so regulated that firms could be fined for exceeding output quotas. A threat because now the company would be vulnerable to external competition. In fact, at one point the companies within the group had competed among each other so vigorously that four textile mills drove each other out of business. He began the streamlining process by handpicking six industries that generated the most revenues - steel, motor vehicles, power, telecoms, information technology (IT) and hotels - and increased Tatas’ often paltry shareholding in these core businesses. Tata felt that it was the company's duty to produce groundbreaking products for the world's poor. The result was Tata Motors coming up with the first Indian-designed car, the Indica, and later the world's cheapest, the Nano. The company also took to globalization like fish to water. Between 1995 and 2003, the company on an average made a foreign acquisition a year, in 2004 they made six, and in 2005-06 more than 20. Tata Tea took over of Tetley Group, a British company, for $450m in 2000 announcing its arrival in the global big league.In 2007, Tata Steel bought Corus, Europe's second-largest steelmaker, for $12.1 billion. When Tata Motors acquired Jaguar Land Rover (JLR) $2.3 billion a year later, it was a proud moment for people back home. Today, close to 60% of Tata’s revenues arrive from outside India. Tata Motors and Tata Communications are listed on the New York Stock Exchange (NYSE). In the emerging markets, Tata Steel and Tata Motors have been on an acquiring spree - Thailand's Millennium Steel and South Korea's Daewoo trucks being the most noteworthy. Tata Consultancy Services (TCS) is already Asia's largest software company, Tata Steel India's largest steelmaker, Taj Hotels Resorts and Palaces India's biggest luxury hotel group, Tata Power the country's largest private electricity company, Tata Global Beverages the world's second-largest maker of branded tea. After two decades at the helm, he left behind a much larger, better managed and more competitive conglomerate. When he stepped down in late 2012, India was one of the world's most dynamic economies and Tata was operating in over 80 countries. Where did Mistry fall short? The reasons behind the abrupt sacking point to lack of performance. A cursory glance shows that the profits look just about right.But that is to oversimplify a complex investment company which often owns minority stakes in its operating companies rather than controlling them outright. It is believed that Mistry wasn’t doing much to boost profits. Beyond TCS and JLR, the conglomerate’s 100 or so operating companies aren’t making good returns. These two companies have been covering up for a string of duds. When Mistry took over, his task was very similar to that of Ratan Tata’s - he had to streamline the group into financial shape. The key stakeholders were tired of measly dividends. And injecting fresh blood at the top was supposed to bring consolidation, boosting returns on the investments made over the past decade. There were also rumours that Mistry might sell off many of the businesses under Tata’s umbrella, which many even thought was unbefitting to Tata’s commitment to putting ethics before profits. However, little of that consolidation happened in the four years he was in charge. Problems also started surfacing from decisions made by the group before Mistry’s arrival. Mistry was unable to sell the European steel assets of Corus Group Plc even as it plunged into losses of $1.2m (Rs 8 crore) a day at one point. Tata’s own pet cars’ division continued to misfire as it suffered delays over building a factory. 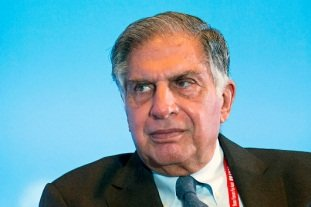 A telecoms joint-venture with NTT DoCoMo degenerated into an unseemly legal battle that looks likely to cost Tata $1.17bn.The Docomo dispute was a key bone of contention between Mistry and Ratan Tata, according to people familiar with the business. It also didn’t help that Tata was still in charge as the chair of the Trust, allowing Mistry little space to enact his vision. Whether Mistry’s sacking has to do with legacy issues or a lack of clarity about the future is still debatable. The board is supposed to represent the interests of all stakeholders. When Ratan Tata was ready to step down, the company was looking to for someone to run a $100 billion global corporation with great internal communication skills. This meant that the selection committee must have adhered to a rigorous and competitive process much like General Electric Co. ran to find Jack Welch’s successor. 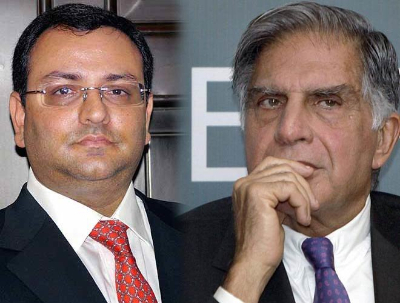 This is also why when Tata chose Mistry; it seemed to be a decision made out of convenience.Mistry represented a family that had a large stake in Tata Sons and had been on the board of the company since 2006. He was made the deputy chairman of Tata Sons in 2011. He had to oversee everything from software, steel, telecoms automotive, tea to hotels. 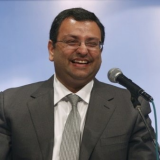 Mistry also claimed in the email that he had become a lame duck due to Tata’s constant interference. Even if the committee had looked into the credentials of the successor, it now appears that the succession planning failed to take into account the predecessor. Case-in-point: Infosys fell into this trap as chairman N. R. Narayana Murthy believed that the company’s cofounders could take turns as the CEO. When Nandan Nilekani quit as CEO in 2007, it was felt that a non-cofounder must replace him.It wasn’t until 2013 that Murthy realized the problem and returned for an interim period much like Tata has done now. When he left, he made way for two outsiders: former Ashok Leyland Ltd CEO R Seshasayee as chairman, and SAP AG wunderkind Vishal Sikka as CEO. How challenging is the task? As the spat gets murkier, a five-man panel has been assigned the job of finding a suitable successor. The search has brought up names ranging from Indra Nooyi, who runs PepsiCo Inc., to former Vodafone Group chief Arun Sarin to internal with the experience of running its main units name Tata Consultancy Services Ltd chief executive officer N. Chandrasekaran, 53, and Jaguar Land Rover head Ralf Speth, 61. But this is no easy task as there are no Tatas to take charge. The group’s decentralized nature means that bosses of the existing businesses don’t have experience outside of their particular silos. The successor must be in charge of everything that currently makes the businesses seem unwieldy from undersea cables, property, tea to finance to preside over its consolidation. This imbroglio has already dented the image of the group which has been long admired for its commitment to business and ethics. The secret problems in governance have now been brought to the fore. The key requirement for the next incumbent will be the ability to work with Ratan Tata, who heads the family trusts that control Tata Sons. The apprehension for the successor would be that his/her decisions will constantly be second-guessed by the man whose name is on the door. So it is up to the company to reassure candidates about the question of board independence. In addition to all this, the chief will have to deal with TCS, which contributes the lion’s share of income, suffering from Brexit woes. 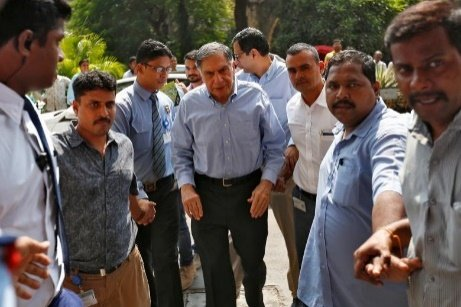 Mistry’s removal is also likely to pose legal distractions for the new chief and it doesn’t help that a week after the coup, Mistry is still chairman and non-executive director of Tata Motors Ltd, owner of Jaguar Land Rover; Tata Power Ltd and Indian Hotels Co. Ltd, which runs the Pierre in New York. Tata Sons doesn’t hold a majority of the stock in those and other group units, making the task of evicting Mistry more difficult.